Artistic Artifacts participates in The Row by Row Experience each summer! Learn more about the Row by Row Experience, a fun in-person shop hop, which takes place throughout the U.S., Canada and parts of Europe! Join Artistic Artifacts/Batik Tambal at the following events (additional dates and events may be posted). You may also bring Artistic Artifacts creator Judy Gula to your location to teach or lecture! Check our calendar for the most up-to-date information. 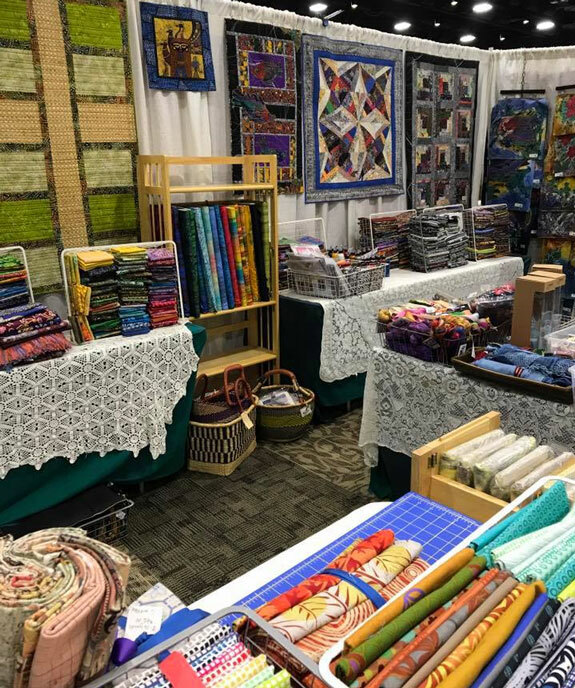 the largest quilt show on the East Coast! Join us in historic Ischia di Castro: morning mixed media classes with Judy Gula, afternoons touring! Quilt Odyssey — the 20th Anniversary Show! If you love to take mixed-media art classes, but aren’t convenient to our location in Alexandria, VA, consider attending one of the three Art & Soul retreats held each year across the U.S. Artistic Artifacts is proud to be a sponsor and the on-site “store” for the Ocean City, MD location of this creative event! For more information on this wonderful art retreat and to register, visit the Art & Soul website and select your desired venue. Glenny Moir’s blog also includes beautiful photographs of upcoming classes, profiles of Art & Soul instructors, registration and discount news, and much more — visit it often! The Art & Soul theme for 2019 is “Red Carpet” — think Lights... Camera... Action! “Can’t you just see the flashbulbs popping as you walk down the runway dressed from head to toe in glitz and glam? All that fancy fun is what inspired this new theme,” writes Art & Soul founder Glenny Moir. “It’s gonna be grand!” The theme logo was created by Michelle Bernard. Use the inspiration generated by this theme for your ATCs and other trades, themed clothing, ephemera, etc. to bring along to your Art & Soul creative retreat. Held since 1999, these retreats are designed to stimulate your creative energy and give you an opportunity to explore new and exciting artistic ideas. Choose from dozens of workshops in collage, assemblage, jewelry, fiber arts, journaling, painting, art dolls, sculpture, altered books and so much more. For most venues, a classroom is dedicated to sewing and fully equipped with machines, so no more worrying about trying to travel with a sewing machine. No matter what your level of artistic experience, Art & Soul’s talented instructors will take you under their wing and make your creative spirit soar! Please read your Art & Soul workshop descriptions carefully: when a separate kit fee is listed, it is payable directly to the instructor on the day of the workshop (Artistic Artifacts does not handle these kits or transactions). Artistic Artifacts, the on-site “store” for the Virginia Beach Art & Soul venues, sells many of these supplies, as well as one of a kind mixed media items. 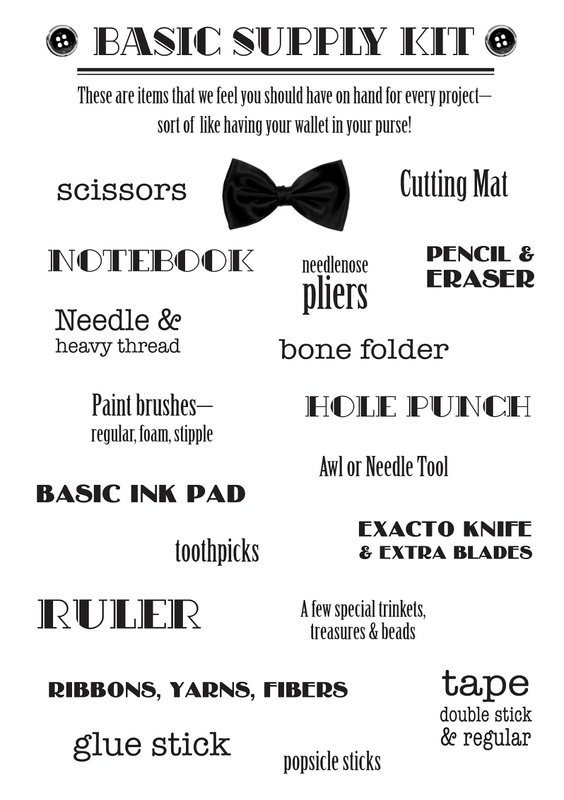 Preorder your desired supplies and tools from our online store and they can be picked up on site in Virginia Beach when you arrive for Art & Soul, saving you packing space! (Of course you may also shop in advance from us for the Portland and Colorado Springs events!) Contact us if you have any questions.